With over 10 locations throughout Northern Colorado, Burke Cleaners has the convenience and experience to handle all your dry cleaning needs. Burke Cleaners is dedicated to making your task of laundry and dry cleaning truly SIMPLE. 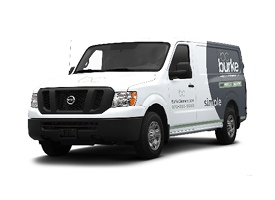 Burke has been proudly serving our customers for nearly 25 years and no other cleaners in Northern Colorado has our experience, know-how nor our dedication to this industry or our profession. With 10 convenient locations in Northern Colorado, we invite you to experience the Burke difference. Burke Cleaners has been voted Best Dry Cleaners of Fort Collins, Loveland, and Windsor. Burke Cleaners is committed to the community we live and work in. We are proud to help sponsor many local community events such as Say Yes To The Dress and an annual coat drive throughout Northern Colorado. Sign up online or through our mobile app and receive your designated pick up and drop off days. 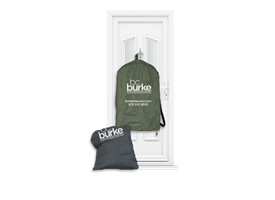 A Burke delivery driver will pick up your dirty garments during your pre- scheduled pick up day. Your clothes will be returned back to you clean and ready to wear on your scheduled drop off day. Wouldn’t it be convenient to have real-time access to your dry cleaning information and get notified when your dry cleaning order is ready for pick up? 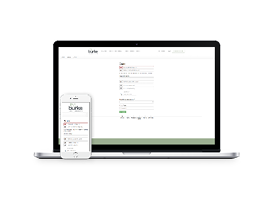 Download our Burke Cleaners mobile app, the quickest way to handle your dry cleaning.